Ever met anyone who didn’t love an Outdoor Fireplace? Of course not. Outdoor Fireplaces provide a simple pleasure in life most of us never talk about, like sleeping in, long hot showers, or a cold beer on a hot afternoon. Relaxing in front of firelight is universal and enjoyed down through the ages. 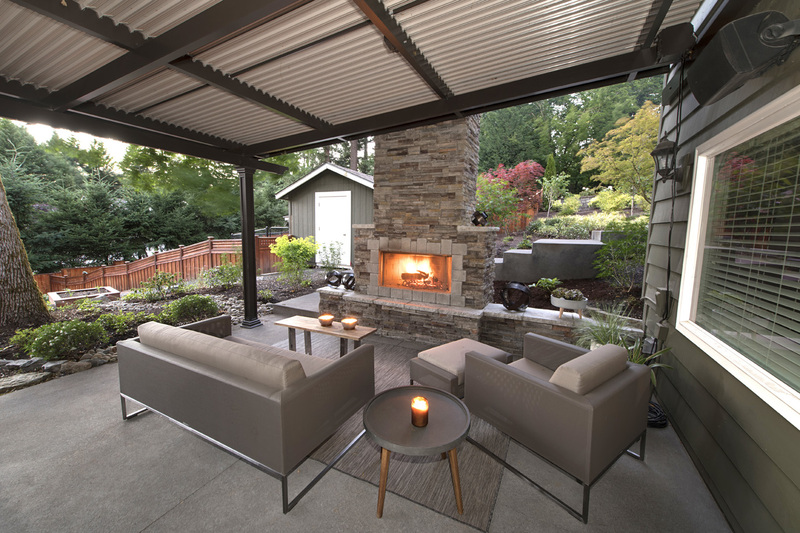 Now that outdoor living spaces are becoming a part of everyday homelife, conceptualize an Outdoor Fireplace of your own. Paradise Restored has designed hundreds . . . why don’t we take a look at a few. Below, the Castles, wanted a cozy nook ‘down under’ for nestling in around the outdoor fireplace. Click the photo to view their landscape design. Trigger memories? Outdoor Fireplaces engage all 5 senses. Okay, okay, maybe not taste – but the other four for sure.! Early 3D home entertainment systems. Relaxing in front of a crackling fire is one of the most enjoyable ways to spend an evening. Sitting fireside, our senses become totally absorbed in the experience, leading some to call it caveman television. Researchers suggest staring into the fire has a calming focus of attention that could help to reduce anxiety and reduce our blood pressure by 5 percent. Lower blood pressure from fire-watching? We’re all in. Hey, maybe this simple pleasure should become part of our family experience instead of movie night? Or, what about combining them together? Fire and fun, right? A scroll down movie screen with fire in the background is mesmerizing. This property is unique in that it boasts a second place to fire-gaze and TV-watch. Stroll past the lunge pool and spa, the bubbler water feature with view deck, down the walkway near the flowing waterfall to another outdoor living room. Heavy sigh, this is such an amazing landscape design. Having two living rooms in one landscape prevents arguments about TV shows. Imagine, grabbing a bunch of the guys for sports-day in this amazing outdoor living gazebo. 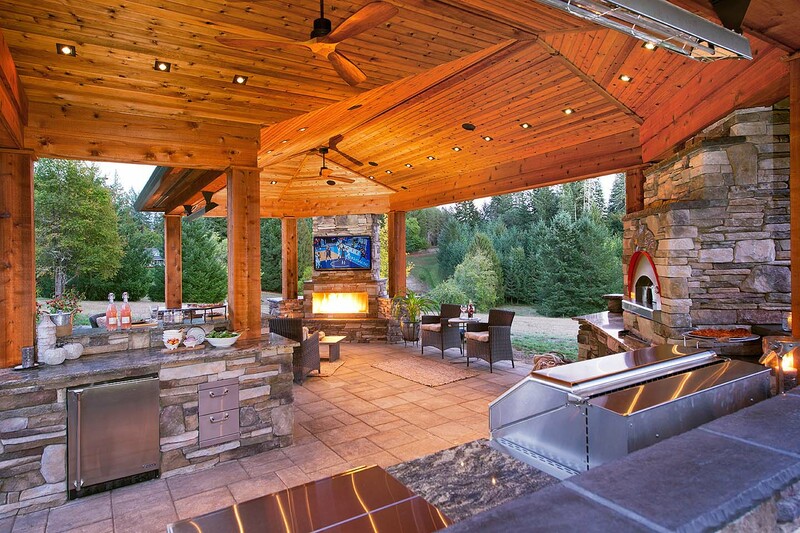 Tons of space – with pizza oven in the outdoor kitchen for hungry friends and family. 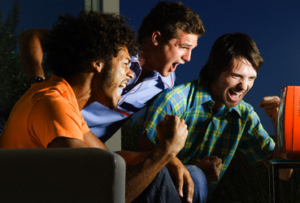 Talking about guys, sports and TV: Take it outside! Nothing compares to a bunch of football fanatics enjoying the game in an outdoor man cave complete with fireplace. Ladies you can either join them or hangout having girls kind of fun. 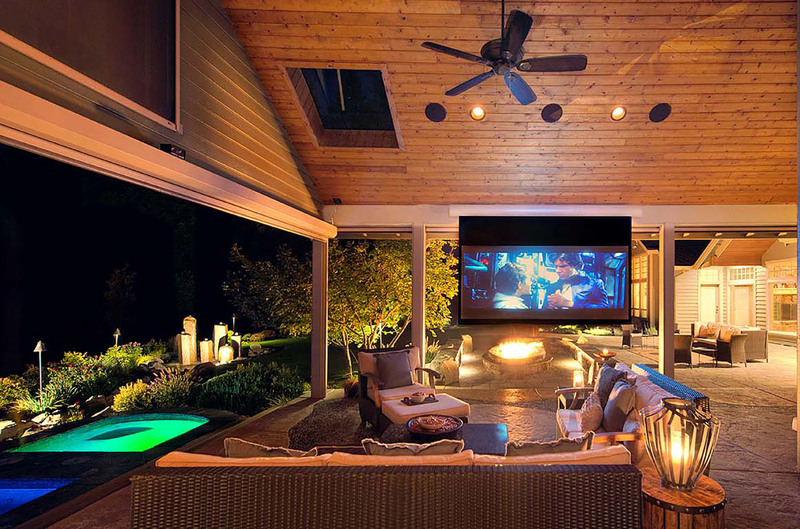 Not all outdoor living spaces host a TV screen. Many relish getting away from electronic lifestyles when they head outdoors. Instead, they insist on appreciating nature’s incredible display and ambiance. Ambiance? Very few things in life define ambiance better than outdoor fireplaces. 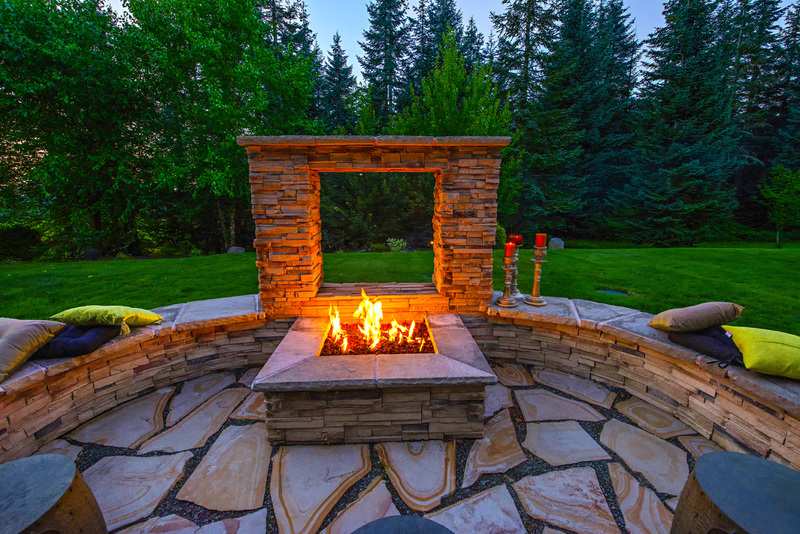 Isn’t it time you put a fireplace in your landscape? Question is, Natural Gas or Wood Burning? Let’s start with a look at a few wood burning fireplaces.They fit well in a more traditional setting. Or is Natural Gas a choice you would make? 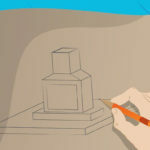 They can find a niche in all styles of landscape design. Who can resist the pull of the fire? But, who gets the front row seats? Why not a two-sided fireplace so more than one couple can warm up in front of the fire. Below, front and backsides, or vice-a-versa! Want even more space around your outdoor fireplace? Make it a firepit with reflection wall. They are beauties and give up a bit more space for a captive audience. Well friends, that’s a wrap. 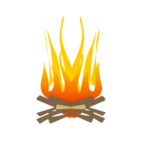 Until next time, get outside and get in front of a fire!